Caffeine is not only used as an active component in high energy drinks, products and pharmaceuticals, it can also help us beautify our hair. Read our Alpecin caffeine shampoo review and check out if this is an alternative for you to consider the next time you are browsing in grocery or pharmacy shelves. People who used the shampoo find that it makes hair squeaky clean. It is gentle enough to be used everyday without suffering negative consequences. Hence, even if you use it as a daily shampoo, your hair will not only come out clean, but also thicker. Those who suffer from thinning hair swear the shampoo makes their hair grow back thicker at a quicker rate. Alpecin Caffeine shampoo 250 ml is selling at £5.49 which makes it an affordable hair care product. Users acknowledge the shampoo is not a miracle worker. For it to work, you must use it over a certain period of time. For those who did not experience positive effects, it was a good counter balance to hair loss or growth problems according to the Alpecin caffeine shampoo review. Those who have permed or coloured hair did not experience the positive effects of the shampoo. Instead, it made the hair dry which is a disadvantage. There are also consumers who are completely unsatisfied with the product. Apparently, if you have thinning hair for years, the product cannot help with further hair loss. It just helps in slowing down hair loss leading to healthier hair. 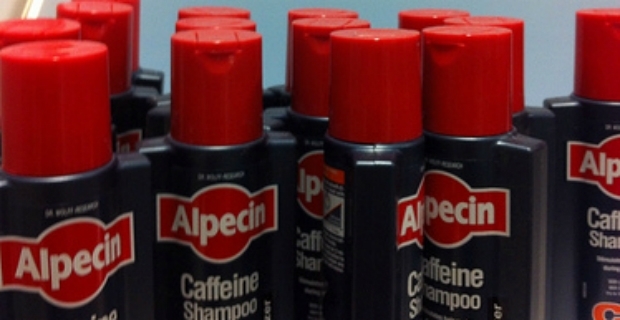 Overall, the Alpecin Caffeine shampoo review is encouraging with most consumers reporting satisfaction as to results. Hair is healthier and it encourages hair growth. However, not everyone is happy with the results. User comments range from divine and wonderful to completely useless and a waste of time. Where the shampoo did not work, at best, it contained hair loss and thinning.